San Simeon is home to world-famous Hearst Castle, known for its towering terraces, picturesque pools, lush gardens and opulent art collection. Located off scenic Highway 1, dramatic coastal cliffs and vast ocean views are a welcome sight for visitors. Fishing, camping and whale watching are all popular activities here. Just a short drive to the north, you’ll be able to take in even more scenery at Ragged Point, the gateway to Big Sur. In nearby Cambria, wine tasting, art and fabulous dining options await. Wild and rugged, the beaches of San Simeon have been carved by the crashing waves of the Pacific for centuries. Unspoiled, uninhabited and completely intact, San Simeon’s beaches are among the most beautiful in all of California. Come and visit San Simeon! For a list of all the area beaches << Click Here >>. -eing slightly inland means higher average temps than much of the rest of our county. Winter temps can rarely have extremes from low 40s to low 80s, but average temps are in the 60s and 70s. Summers see most days with temps in the 70s and low 80s. The warmest month is September; the coldest is December. Average annual rainfall is about 18 inches with February being the wettest month. Humidity here is in the 65% to 75% range. If you like to swim in warmer ocean waters, July and August are the best months to visit. Be aware that this is also high season. Fog often rolls in along the coastal areas in early summer; you’ll need a jacket, especially after sunset, close to the shore. It usually rains from December through March. From April to early June and in early fall the weather is almost as fine as in high season, and the pace is less hectic. Mostly sunny days make for great wine-tasting and equally great biking and hiking, so pack your sunscreen, sturdy hiking shoes, bike shorts, and if you bring nothing else, download a wine map, print it out, and tuck it into your pocket. While summer dresses, tank tops and shorts work well for day times, light outerwear is suggested for the cooler evenings. 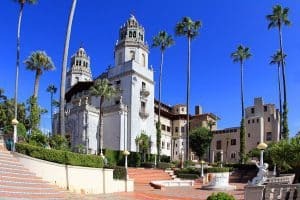 Officially known as “Hearst San Simeon State Historical Monument,” Hearst Castle sits in solitary splendor atop La Cuesta Encantada (the Enchanted Hill). Its buildings and gardens spread over 127 acres that were the heart of newspaper magnate William Randolph Hearst’s 250,000-acre ranch. Access to the castle is through the visitor center at the foot of the hill, where you can view educational exhibits and a 40-minute film about Hearst’s life and the castle’s construction. Buses from the center zigzag up to the hilltop estate, where guides conduct four daytime tours, each with a different focus: Grand Rooms, Upstairs Suites, Designing the Dream, and Cottages and Kitchen. These tours take about three hours and include a movie screening, and time at the end to explore the castle’s exterior and gardens. In spring and fall, docents in period costume portray Hearst’s guests and staff for the Evening Tour, which begins around sunset. Reservations are recommended for all tours, which include a ½-mile walk and between 150 and 400 stairs. 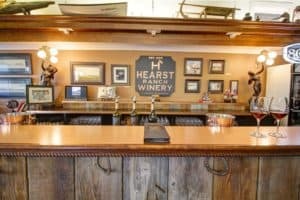 Old whaling equipment and Hearst Ranch and Hearst Castle memorabilia decorate this winery’s casual Old San Simeon outpost. The tasting room occupies part of Sebastian’s, a former whaling store built in 1852 and moved by oxen to its present location in 1878. The flagship wines include a Bordeaux-style red blend with Petite Sirah added to round out the flavor, and Rhône-style white and red blends. Malbec and Tempranillo are two other strong suits. Templeton chef Ian McPhee serves burgers and other lunch items at the adjacent deli, whose outdoor patio is a delight in good weather. 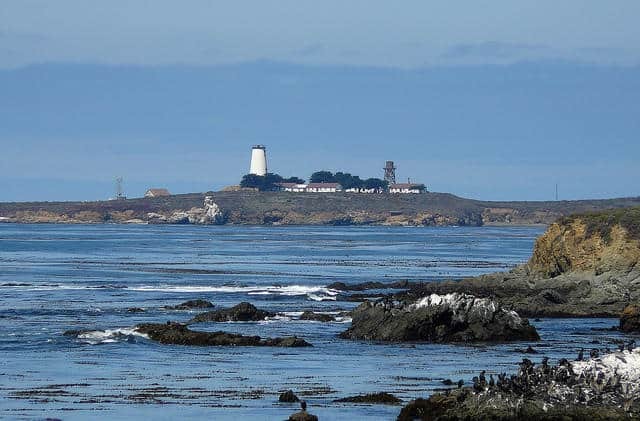 If you think traversing craggy, twisting Highway 1 is tough, imagine trying to navigate a boat up the rocky coastline (piedras blancas means “white rocks” in Spanish) near San Simeon before lighthouses were built. Captains must have cheered wildly when the beam began to shine here in 1875. Try to time a visit to include a morning tour (reservations not required). Tours are at 9:45 am on Tuesday, Thursday, and Saturday year-round (except for on major holidays). Do not meet at the gate to the lighthouse—you’ll miss the tour. Meet your guide instead at the former Piedras Blancas Motel, a mile and a half north of the light station. 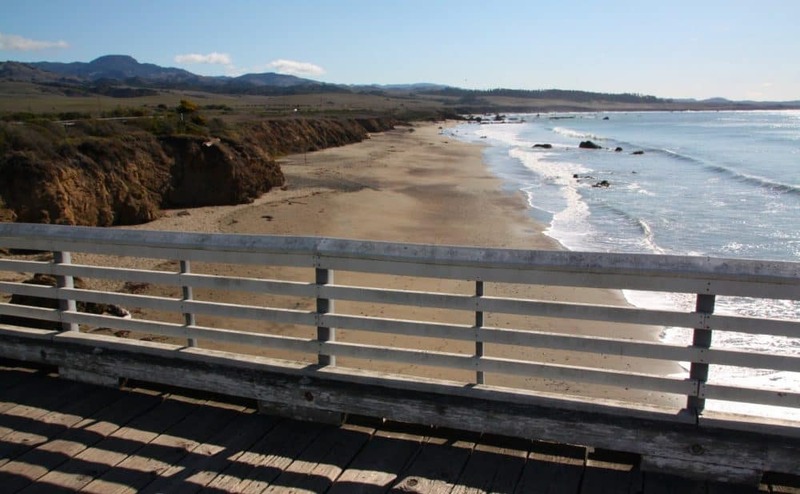 This wide, sandy beach edges a protected cove on both sides of San Simeon Pier. 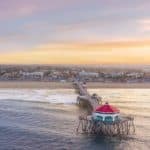 Fish from the pier or from a charter boat, picnic and barbecue on the bluffs, or boogie board or bodysurf the relatively gentle waves. In summer you can rent a kayak and paddle out into the bay for close encounters with marine life and sea caves. The NOAA Coastal Discovery Center, next to the parking lot, has interactive exhibits and hosts educational activities and events. Amenities: food and drink; parking; toilets; water sports. Best for: sunset; swimming; walking. 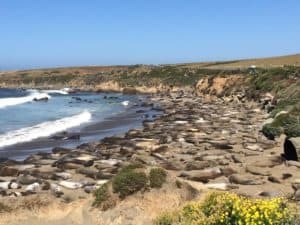 A large colony of elephant seals (at last count 22,000) gathers every year at Piedras Blancas Elephant Seal Rookery, on the beaches near Piedras Blancas Lighthouse. The huge males with their pendulous, trunklike noses typically start appearing on shore in late November, and the females begin to arrive in December to give birth—most babies are born in the last two weeks of January. The newborn pups spend about four weeks nursing before their mothers head out to sea, leaving them on their own; the “weaners” leave the rookery when they are about 3½ months old. The seals return in the spring and summer months to molt or rest, but not en masse as in winter. You can watch them from a boardwalk along the bluffs just a few feet above the beach; do not attempt to approach them as they are wild animals. The nonprofit Friends of the Elephant Seal runs a small visitor center and gift shop (250 San Simeon Avenue) in San Simeon. Sea For Yourself Kayak Outfitters (SFYKO) is a kayak outfitting company that is located within the William Randolph Hearst State Memorial Park was established in 1998. All of their kayaking tours take place within the Monterey Bay National Marine Sanctuary. Their knowledgeable guides are dedicated to providing customers with a unique educational experience about local wildlife, habitats and some interesting history about the beautiful area they live in. We are open year round with reservations and during the summer are enjoying the beach daily. For more information call 805-927-1787, or visit them on the web at Sea For Yourself Kayak Outfitters. Sailing and Powerboat tours on the pristine waters of San Luis Obispo Bay. They have fantastic whale watching and wonderful weather year round. Both of their boat tours are family friendly and appropriate for all ages from infants to great grand parents. Experience an abundance o- wildlife viewing opportunities on every tour and see for yourself why locals and visitors alike consider their tours a favorite way to share the beauty of the Central Coast with friends and family. For more information call 805-540-4667, or visit them on the web at Central Coast Sailing. Kayak, bike and hike Morro Bay, San Luis Obispo, Paso Robles, Big Sur and the Central Coast. 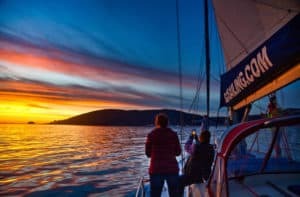 They specialize in incredible California Central Coast outdoors tours and trips for individual travelers, small group tours or large group tours kayaking, biking or hiking in their natural playground. 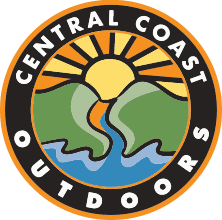 For more information call 805-528-1080, or visit them on the web at Central Coast Outdoors. Chablis is a unique, 50-foot, two-story riverboat that graces the gentle waters of beautiful Morro Bay Harbor. The plushly decorated interior with its panoramic windows and rooftop deck make it the perfect setting for parties, business meetings, bridal showers, weddings, receptions, and events of all kinds. A cruise on Chablis will be a lasting memory. Their weekly Champagne Brunch is an event to be enjoyed by all. 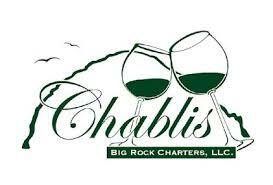 For more information call 805-772-2128, or visit them on the web at Chablis Cruises. Take a guided harbor tour of beautiful Morro Bay aboard the Lost Isle. Enjoy scenic vistas and wildlife viewing in comfort with a full bar and tropical drink menu. 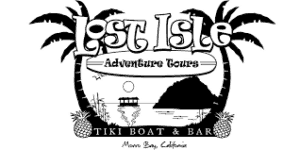 For more information call 805-771-9337, or visit them on the web at Lost Isle Adventures. Ragged Point’s restaurant has quickly become known, both locally and internationally, for its unique ambiance as well as its sumptuous, fresh cuisine. Whether you’ve come for a romantic dinner, an inspiring business lunch, or a delicious breakfast break from your Highway 1 vacation, our restaurant is sure to please. Since our dining room is made of glass from floor to ceiling, you can enjoy a beautiful sunset or a starlit evening while you dine. If you prefer, you can lunch on our heated outdoor dining patio, enjoying our gurgling fish pond and lush gardens. Our talented chefs feature fresh, local vegetables and garden-fresh herbs in their specialties. For more information call 805-927-5708, or visit them on the web at Ragged Point Restaurant. Indoor and ocean view patio seating with house specialties such as homemade vegetarian salsa, lamb shanks in a mild tomato sauce and our famous “Margaritas De Vino” made with Los Cabos Agave Especial Wine. For more information call 805-927-3872, or visit them on the web at El Chorlito Mexican Restaurant. A local favorite for anniversaries and other celebrations, Zack’s serves classic European dishes in an intimate, two-room 1930s cottage adorned with local art. Entrées of note include seafood specials (depending on the local catch), slow-roasted boar shank and filet mignon, the latter typically crusted in peppercorns or topped with porcini mushrooms. For more information call 805-643-9445, or visit them on the web at Cafe Zack. A barn-style restaurant with high ceilings and an open kitchen, Ember enjoys a red-hot reputation for Italian-inflected dishes prepared in an authentic Tuscan fireplace or a wood-burning oven. Chef-owner Brian Collins, a native of Arroyo Grande, the town bordering Pismo Beach, honed his culinary skills at Berkeley’s legendary Chez Panisse Restaurant. Ember doesn’t accept reservations, so come before 6 or after 8 to avoid a wait. for more information call 805-474-7700, or visit them on the web at Ember. Create your own custom tasting menu by choosing among five different groups of eclectic California-French dishes paired with local wines at this elegant farm-to-table restaurant inside the Mirabelle Inn. The seasonal menu changes constantly, but regulars include smoked sweet-and-spicy duck wings, truffle-roasted cauliflower, local spot prawns, short rib bourguignonne, and pears poached in red wine from the sommelier-owner’s organic Coceliquot Estate Vineyard. For more information call 805-688-1703, or visit them on the web at First & Oak. They offer ocean views from every table. Their menu has a variety of fresh foods from exquisite appetizers, to fulfilling main courses, and tasty desserts. In addition, their restaurant is well known for our premium steaks, seafood, and their diverse selections of wines. 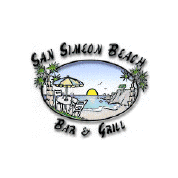 For more information call 805-927-4604, or visit them on the web at San Simeon Beach Bar & Grill. The Sea Chest has been serving fresh seafood for over 35 years. Located a stone’s throw away from Moonstone Beach, it is a popular stop for visitors and locals who enjoy the exhibition-style oyster bar. For more information call 805-927-4514, or visit them on the web at Sea Chest Restaurant & Oyster Bar. They offer a full bar with great drinks from draft beers to any cocktail with reasonable prices. Come and join us for happy hour from 4-6 PM every day. If you are in a party mode join us for “Karaoke With Elvis” on Friday and Saturday from 8pm-1am. 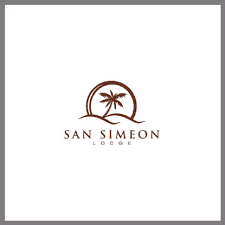 For more information call 805-927-4601, or visit them on the web at San Simeon Lodge Restaurant & Bar. Madeline’s Wine Shop is located in the heart of picturesque Cambria, CA at 788 Main St. Inside the store you will find an extensive selection of boutique wines from the California Central Coast including vintage and hard-to-find wines, a large selection of beautiful stemware, decanters, tabletop, wine and picnic accessories as well as gourmet cheese and cured meats, Our selection of wines change constantly as we discover new wineries and new releases. For more information call 805-927-0990, or visit them on the web at Madeline’s. Originally established in 1866, Mozzi’s Saloon is the last remnant of “the Cowboy bar” in Cambria. Completely remodeled in 2007 with the original ambiance as yesteryear. Full bar, Live Music,Pool and Snooker tables, friendly atmosphere, bar menu. For more information call 805-927-4767, or visit them on the web at Mozzi’s Saloon. As the only oceanfront resort in San Simeon and Cambria, the Cavalier Oceanfront Resort is designed for a relaxing and satisfying stay. The comfortable guestrooms offer a warm, casual style and useful amenities like free WiFi, a mini-fridge, and Keurig single-serve coffeemaker. Conveniently located along the Pacific Coast Highway, just three miles from Hearst Castle, seven miles from the Elephant Seal Habitat (Rookery), and 10 miles from the Piedras Blancas Lighthouse. Cavalier Oceanfront Resort offers guests affordable oceanfront accommodations near Hearst Castle, including stunning Oceanfront Rooms just 20-feet from the Pacific Ocean, Oceanview Rooms featuring panoramic vistas of the California coast, and Standard Rooms with two queen beds. Enjoy an authentic Central Coast experience at the Cavalier Oceanfront Resort. For more information, pricing, or to reserve your room, visit Cavalier Oceanfront Resort. More than Just “ocean-view” rooms, all rooms provide unobstructed views of the magnificent Big Sur Coast from atop of a 350-foot cliff. Each room has its own personal balcony or deck where you can relax, recharge, and enjoy your stay. Garden Rooms offer the Ragged Point experience at a more affordable rate. Guestrooms are set back from the ocean and are located in our beautiful redwood Lobby Building. Each Garden Room has its own special charm and a lovely view of either the rugged Pacific Ocean or our beautiful Santa Lucia Coastal Mountains. The Cliff House features Ragged Point luxury in a home-like setting. Enjoy stunning ocean views from one of the Cliff House guestrooms or rent the entire Cliff House for your family, friends, or corporate group for a truly special event on California’s Big Sur Coast. For more information, pricing, or to reserve your room, visit Ragged Point Inn. This beachfront hotel in Cambria features 46 comfortable guest rooms with in-room gas fireplaces – as well as generous Moonstone Beach hotel amenities, like complimentary Wi-Fi, bath robes, flat-screen TVs, and in select rooms – jetted tubs and private terraces! Guests can enjoy a year-round heated pool and spa and complimentary hot breakfast each morning, the perfect way to start your day! Ideal for family vacations and romantic escapes, our comfortable Moonstone Beach hotel is located within close proximity of iconic attractions, like Hearst Castle, the Piedras Blancas Elephant Seal Rookery, and an assortment of Paso Robles wineries & tasting rooms. For more information, pricing, or to reserve your room, visit Fireside Inn on Moonstone Beach. Pelican Inn & Suites invites guests to unwind in oceanfront accommodations with complimentary Wi-Fi, pampering robes, upscale bath amenities, and complimentary breakfast every morning. In addition, we offer several Moonstone Beach hotel deals – from Hearst Castle Tours to Stay Longer & Save – so guests can simply let go and relax by the ocean. For more information, pricing, or to reserve your room, visit Pelican Inn & Suites. A free wine hour, homemade evening cookies and full breakfast are included daily at The J Patrick House. Moonstone Beach Park is 4 minutes’ drive away. A fireplace and free WiFi are included in rooms. Styled in modern white linens and elegant wood furnishings, each room provides a window seat at Patrick House. Free spa toiletries are featured in the private bathroom. Towels and linens are provided. French toast, eggs florentine and other rotating breakfast dishes are served daily. Running for over 30 years, Patrick House offers seasoned concierge recommendations. Surrounded by gardens, a shared lounge is also offered. For more information, pricing, or to reserve your room, visit J Patrick House Bed and Breakfast Inn. Thanks for this super in depth article! I love the look of California. I noticed that a lot of the locations and place names you described were in Spanish; is this destination a good place to practice my Spanish (I’m currently studying it) or is it majority English speakers? No Benji, you will find that this is going to be predominantly English spoken here. I think it is the heritage of some of the places that gives them a Spanish name. It is beautiful, and a visit to San Simeon would be a great beach destination with lots of activities as well. 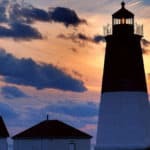 Thanks for visiting Beach Travel Destinations.com. Oh, you make me crave for vacation!! 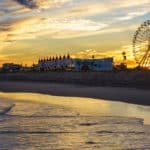 I moved to the US about 5 years ago and live in the NYC area. I have never been to California or West coast at all. These days I’m looking for a destination for short end of August getaway with 3 kids from 3y old to 8y old. What can you recommend for a family like mine? Children friendly hotel, for example, on a reasonable budget? Whales could be a great attraction! Ok, the best bet with a family and budget in mind is going to be the Cavalier Oceanfront Resort. which will run about $109 a night, depending on when you go. There are so many things for kids from the whale watching to birds to the elephant seals. I think they will have a blast! Please let me know if you have any other questions. You have a good eye and mind to know everything there is to know about whether a destination is worth going to or not. I’m really impressed! I’ll be checking all your other posts out to see what other cool places you have reviewed, so I can narrow it down to where I want to go on my next vacation 🙂 Great job and wonderful reviews on some amazing places! Thank you so much Zulfan. I do love beaches, kind of a passion of mine. It is such a great way to spend a vacation to just relax, unwind, venture out and do some sightseeing, or just to sip a cool drink watching the sunset. Beautiful San Simeon, complete with beautiful weather most of the year! The Hearst Castle is charming with those towering palm trees beckoning all who see it to enter its splendour. Hearst Castle and winery seem to be the first place one would want to visit. The Hearst beach also is a good place for the tourist to play. Some great eateries and hotels too for the traveler. Great Video. Thanks Mick, San Simeon really is a great coastal community that would make a wonderful beach vacation and so much more. Thanks for stopping by! Whale watching sounds like fun! As a horseriding enthusiast and Western saddle expert, I’d love to visit Mozzi’s Saloon. Ragged Point Inn seems very glamorous with completely unobstructed views of the magnificent Big Sur Coast from atop of a 350-foot cliff – I feel like I’m right there as you describe it. Great post. Whale watching is fun. Their skin is so rough and they do have very bad breath LOL. But amazing creatures for sure. Yes, I do believe that Mozzi’s Saloon would be right up your alley Shalisha! Thanks for stopping by to visit San Simeon. These are some really nice destinations. I find nothing more peaceful than sitting on the beach in front of a beautiful blue ocean. While I do live in a tropical environment, I’m about due for a vacation myself. Then time to go Wendy! You will love San Simeon. Especially this time of year. Thanks for stopping by to visit Beach Travel Destinations. Your post looks really great, and it covers everything that one would want to know prior to visiting this vacation site. One question for you….what is really unique about this vacation spot? Can you answer it? The Hearst Castle is very unique and something you will not see anywhere else. 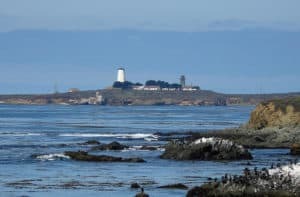 I would have to say that is what is unique about San Simeon. A truly wonderful coastal community in central California. Thanks for stopping by to visit San Simeon. Wow, what a beautiful place to visit, I would love to be right there at this moment:) Those places are to unwind and relaxes. We are planning to travel with a couple of friends for two weeks and we didn’t have any idea where to go. This is it! I found the place. I will share it with my friends and will decide together. The Pelican Inn & Suites seems to be a great spot to spend the vacation there. How many days would be enough for visiting all these places? Hi Daniella, your two-week visit will be a great amount of time to see everything, and give you time to also just relax and maybe do some wine tastings in the area. I believe you are going to have a wonderful time! Awesome, another great destination for my wife and I to check out now in our retirement. 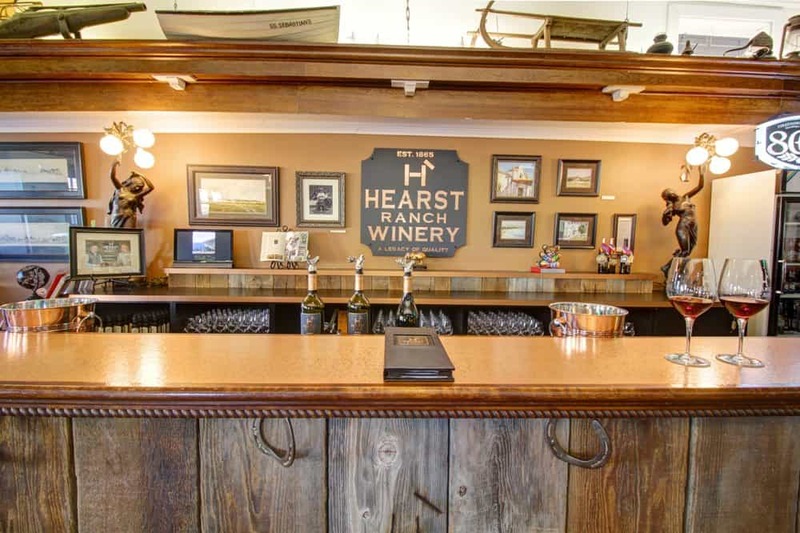 We like wine tasting so we will be trying out the Hearst Ranch Winery. The Cavalier Oceanfront Resort oceanfront room look like the place to stay and so close to a lot of cool things to do. Thanks for another great informative post. You are very welcome Curtis, I am glad you have enjoyed visiting Beach Travel Destinations. You will love to visit San Simeon. It is a wonderful coastal community. I have wanted to visit San Simeon ever since I heard about how magnificent Hearst Castle is. Also, it’s been one of the only places in California I haven’t seen mentioned for a while. I am glad that you took the time to include this destination because it sounds like a great vacation place I am sure to go very soon. I was looking for a great beach holiday and this site has everything you can need to make the right decision. Central California does look beautiful, and with so many things to do and see. You are some welcome John, I am glad I could give you some beach destination ideas. I do agree that Central California is beautiful. You would have an amazing time no matter where you stay in the area. Thanks for stopping by to Visit San Simeon. It would be quite interesting to do some outdoor activities. I think of riding a bike and I wonder can I rent it from somewhere near? Do you have any information about that? There are no bike rentals right in Cambria that I know of. 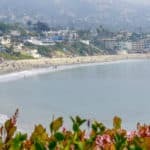 But there are bike rentals in areas that are close by such as in Paso Robles, Pismo Beach, San Luis Obispo, and in Morro Bay. Theese are all fairly close to San Simeon. I hope this helps 🙂 Thanks for stopping to visit San Simeon.